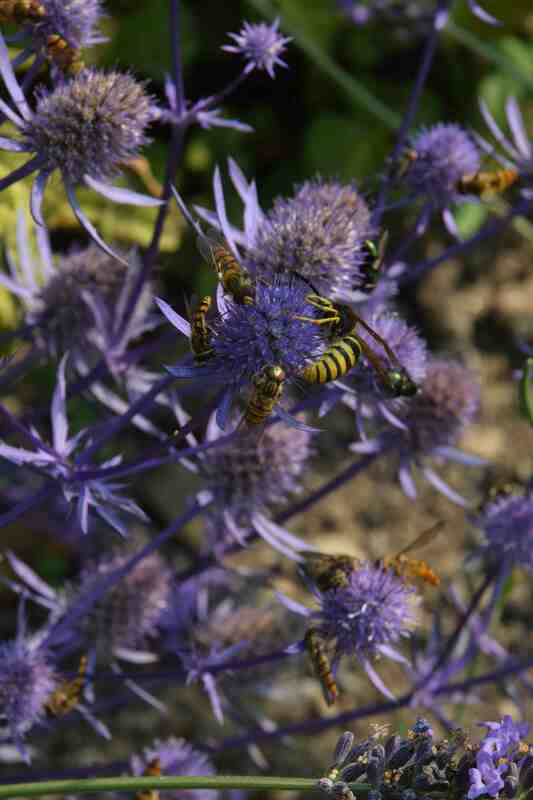 Next Monday is a Bank Holiday here in Ireland and the hover flies are getting ready to party. Yesterday was a warm, sultry day with some sunny patches and for whatever reason the hover flies were out in huge numbers. 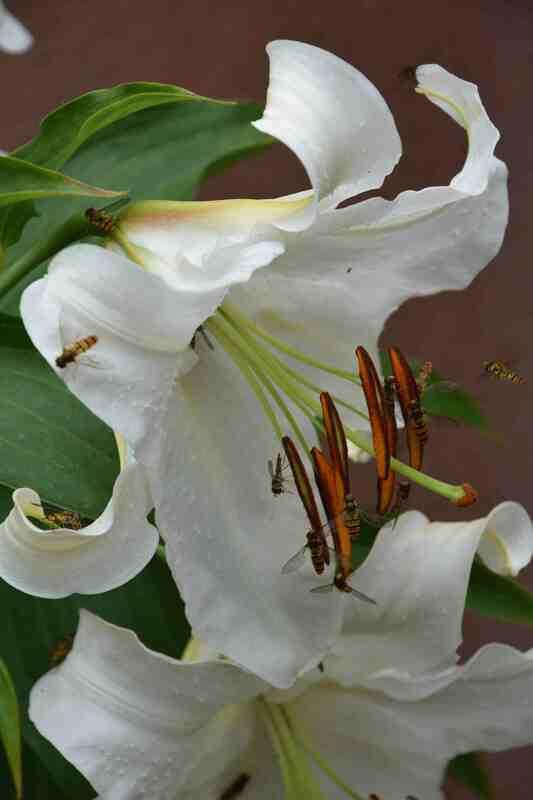 They were everywhere crawling over flowers but were especially attracted to the ‘Casablanca’ lilies which opened their first blooms. Hover flies love flowers that are packed with pollen because the females must eat pollen to get enough protein to produce eggs. 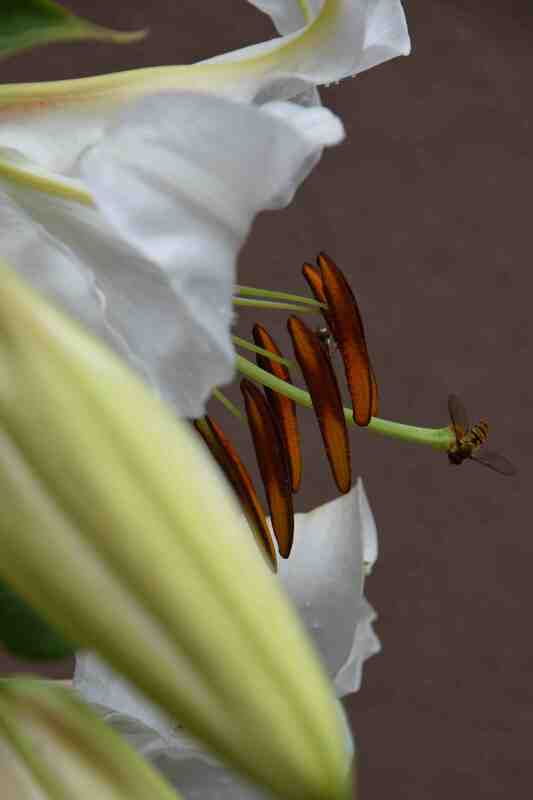 Of course they also do some pollination even though they are a bit more random than bees. 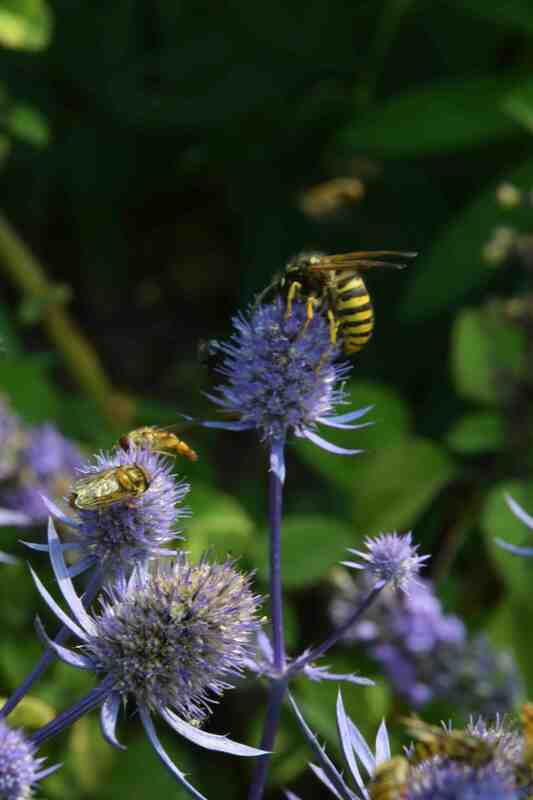 They also seemed very fond of the eryngiums, including ‘Jade Frost’ and didn’t seem at all bothered by the wasp sharing the flowerheads. Oooh, we’ve been promised rain but I’m not holding my breath, I’ve put the hose pipe on…..